Tax debts may be eligible for discharge if you’ve been the victim of unfortunate circumstances and have extensive tax debts. Whether it’s a full discharge or agreeing to a repayment plan for settling your debts partially, there are options available. Filing for bankruptcy is one way to get tax relief, but it should be considered as a last resort. According to many tax professionals, filing for bankruptcy for tax relief is frowned upon. However, contrary to popular belief, filing for bankruptcy can completely stop IRS collection tactics, but there is a catch. Tax code is quite complicated. There are certain provisions for situations where tax debts are dischargeable, so a certified tax professional is the best person to tackle this process. In simple terms, older taxes are easier to discharge, while newer taxes aren’t. The tax return due date was at least 3 years ago. The tax return filing date was at least 2 years ago. You are not convicted of tax evasion. As you can see, filing for bankruptcy is not as easy. There are many conditions, clauses, and terms that everyday taxpayers might not understand. This is why a consultation from a certified tax professional can be beneficial. 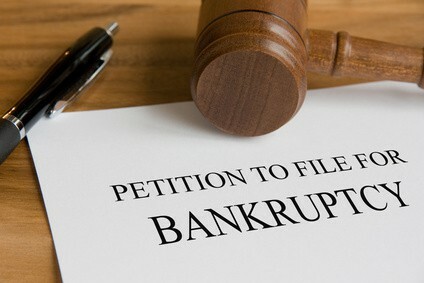 Do not make the mistake of trying to file for bankruptcy without weighing your options or consulting an expert. The tax experts at Long Island Tax Resolution Services will help you determine whether filing for bankruptcy is the best solution for your unique situation. Your eligibility for tax relief depends on a variety of factors, and we will analyze your financial situation to determine whether your tax liabilities qualify for tax discharges. Contact us today to learn more.